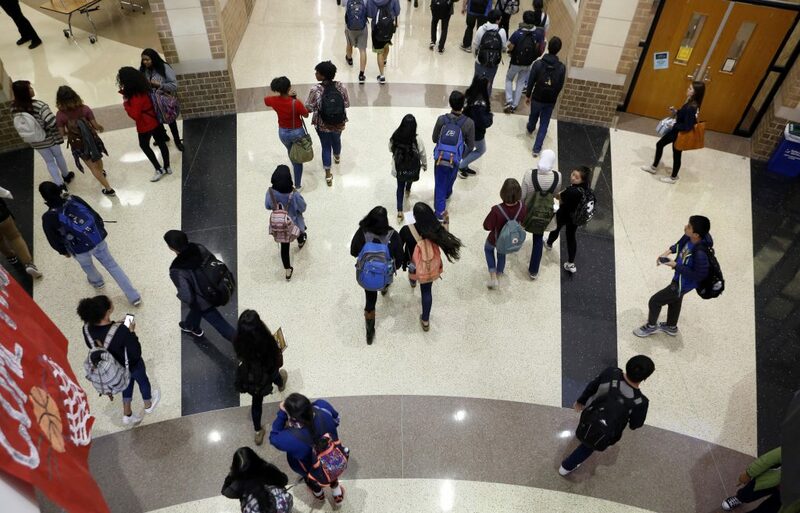 As the city of Frisco has morphed from small town to boom town, its schools have transformed, too. 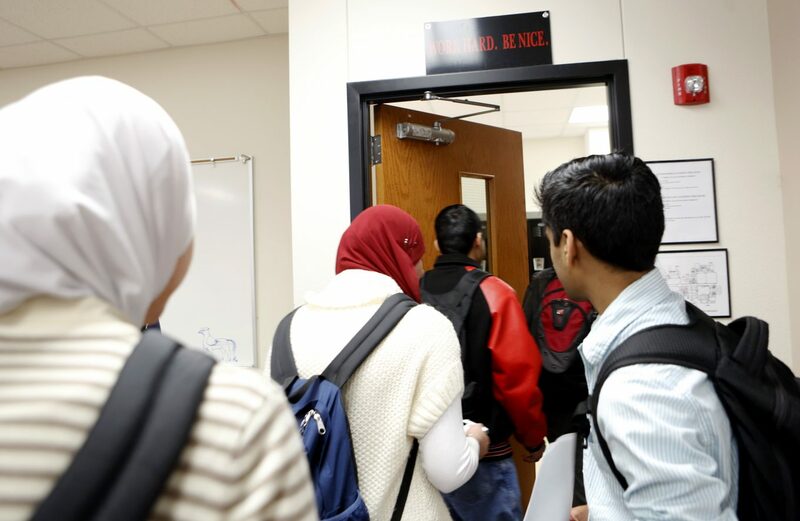 These days, the majority of Frisco students are non-white. Teachers and administrators are responding to the demographic changes in the district — and the academic challenges and community issues that have come with those changes. Charis Hunt stood in front of colleagues last fall and talked about how to reach the wide range of kids in Frisco schools. Hunt, who’s African American, is the school district’s director of Human Resources. She also leads its diversity task force. The group is made up of dozens of educators, parents and other residents. Members are exploring how the district can be more inclusive.For example, the district could hire more teachers of color, and could encourage more parents to come to school events — which can be a challenge. A couple of decades ago, Frisco was a small town with an almost all-white school district. Now, immigrant families are flocking to Frisco. But many of those parents don’t get involved in the schools. Frisco, like other school districts with rapidly changing demographics, is trying to figure all this out. One of the challenges: why so many minority kids don’t enroll in advanced-placement classes. For example, 11 percent of Frisco students are African American but only 7 percent of those students are enrolled in pre-AP and AP classes. 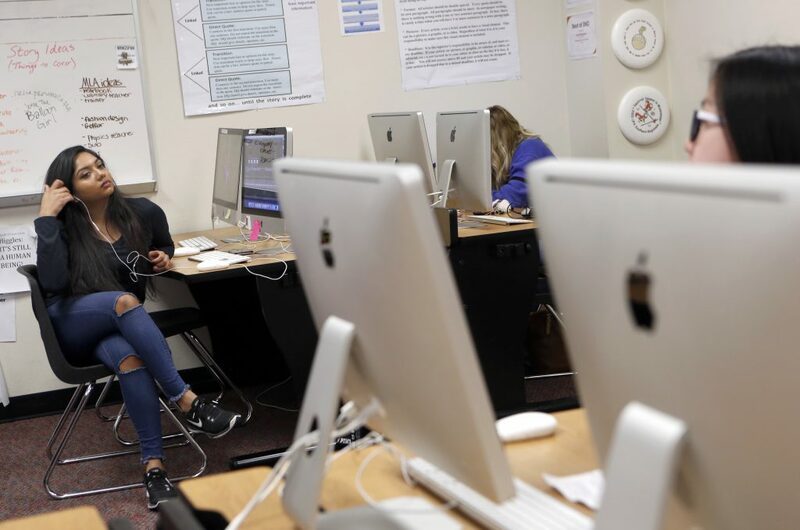 As for Hispanic students, they make up nearly 14 percent of the district, but about 11 percent are enrolled in AP classes. Even though the gap isn’t huge, district officials say they aren’t satisfied with those numbers. The group decided one of the reasons why fewer minority students take more advanced classes is that they may not know about them. Or maybe they think these classes are too hard. 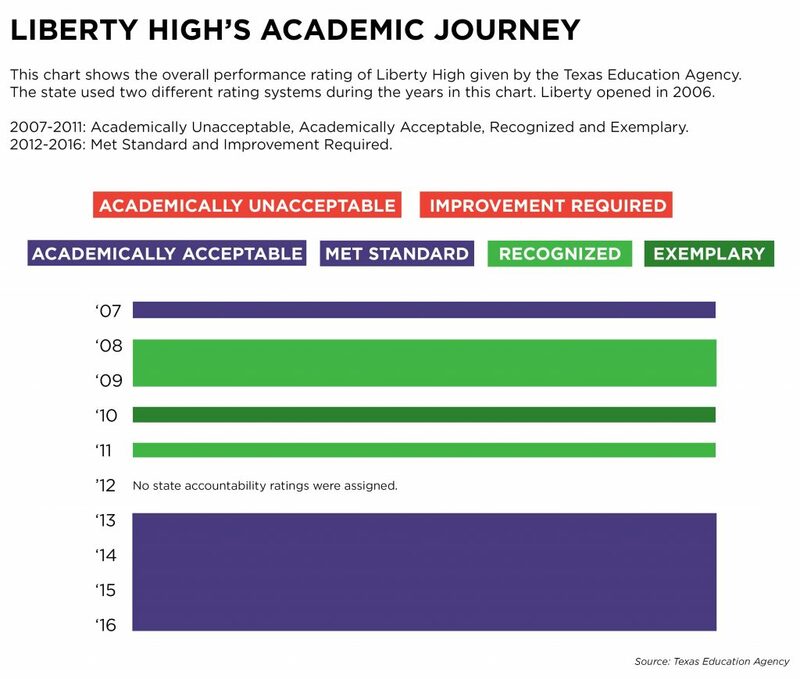 You can see this play out at Liberty High School, where Principal Scott Warstler talks about the challenges at his school. Warstler said that’s why it’s crucial to look at those learning gaps. Those looking into these issues say part of the answer may lie with teachers – and making sure they reach these kids at a much younger age.